Just a little taken aback, I agreed, and shook his hand. What he meant of course, was that as physiotherapists we have a unique opportunity to see skin that is often covered, and importantly, often out of sight of the people who own it. After the introduction, I was given a quick lesson in what to look for when it comes to the plethora of skin lesions and an invite to send any patients over for a free check from the experts. 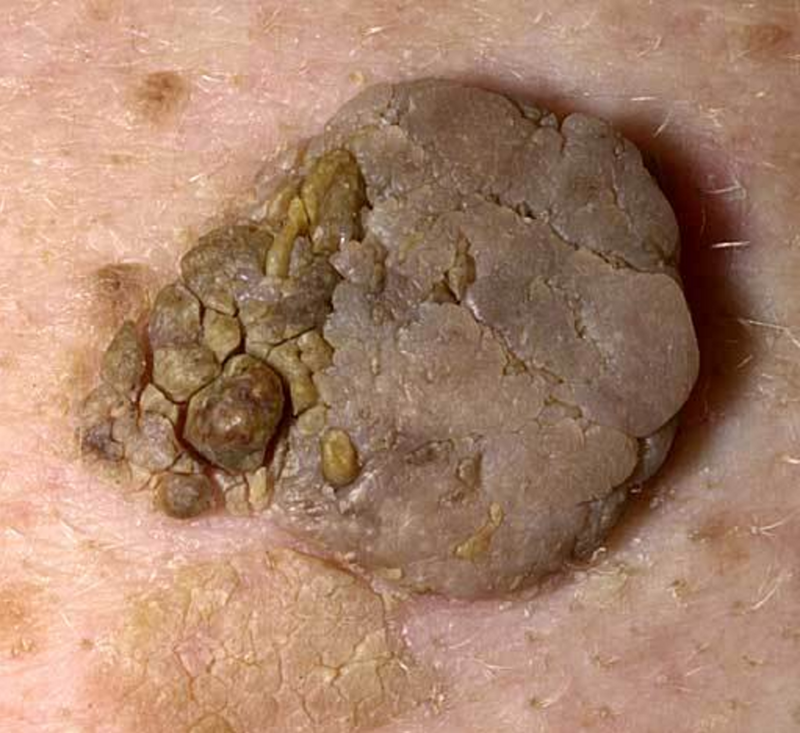 The thing that has always stuck in my mind is that the scary looking, large, crusty eruptions were frequently quite benign seborrhoeic keratoses, while skin cancers were often subtle beasts that looked quite harmless. Do you know your naevi from your dermatofibromas? As we age, the smooth skin of childhood gives way to all sorts of mysterious lumps and bumps. In a high-UV environment like Australia, we need to be very alert to the possibility of skin cancers. But most of the skin lumps we develop will be benign. Here are some of the most common, and how to tell them apart. Any lump, bump or lesion on your skin is worth showing to a doctor if it’s worrying you, but there are some red flags that should prompt you to make the appointment sooner rather than later. A newly appeared mole or an existing mole that starts growing or changing colour should be checked. If the lesion bleeds very easily – at a touch – get it looked at as soon as possible. Painful lumps are another sign all is not right.